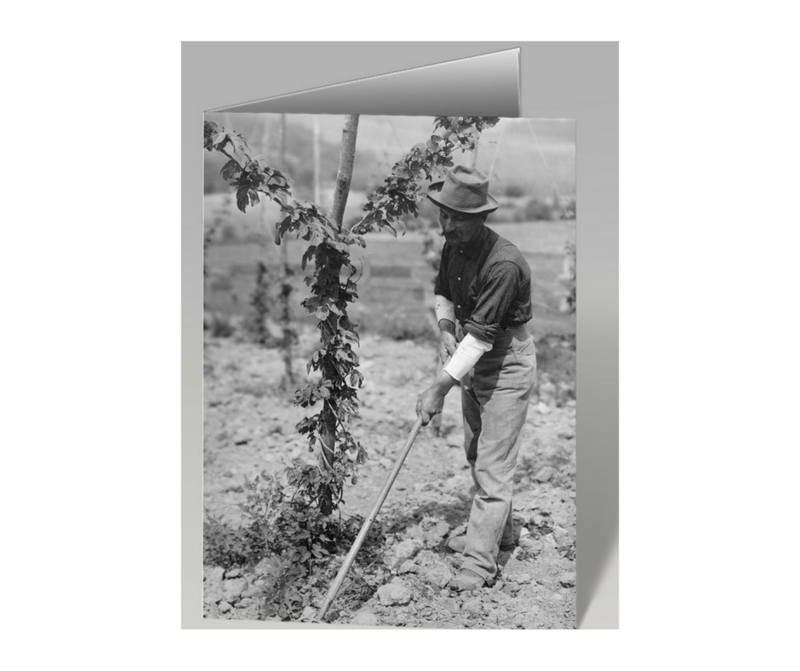 This note card features Hop Picker Working the Soil (ca. 1900-1909, Charles F. Zabriskie, photographic print, H: 9 x W: 7 3/8 in.) from The Farmers' Museum Plowline Collection. *This listing is for one note card. Multiple cards can be purchased.